Having problems ejecting magazines from your Ruger MKIII? 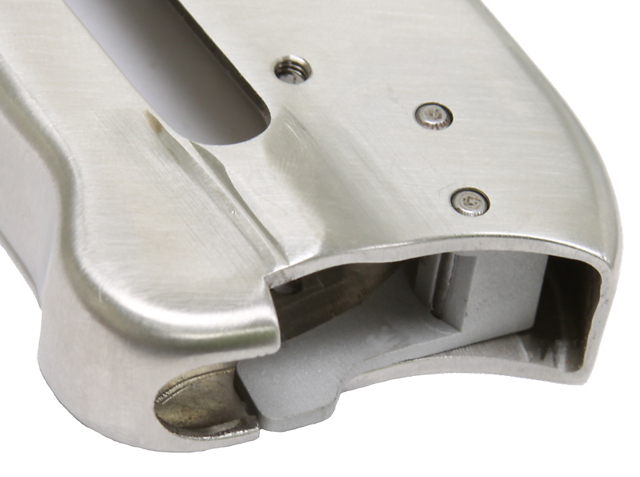 The easy to install Volquartsen Spring Loaded Magazine Ejector will eliminate the hang ups and provide a forceful ejection each and every time. The ingenious design will also allow you to eject a partially loaded magazine ? something that cannot be done on the factory pistol without prying it from the frame.